Just Click on Their Logo Above to View Their Complete Menu! 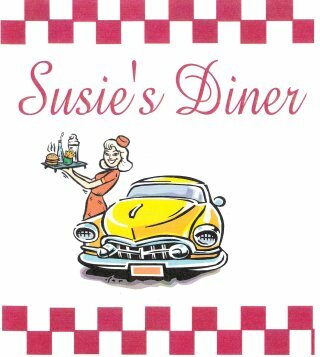 Susie's serves great Breakfasts, Lunches & Dinners for your dining pleasure. They also have a great desert selection including ice cream as well. In fact just mention you saw their ad on ThePineTree.net and you will get a FREE scoop of ice cream* with any meal.